The ESO 3.1.7 update is now available for download. 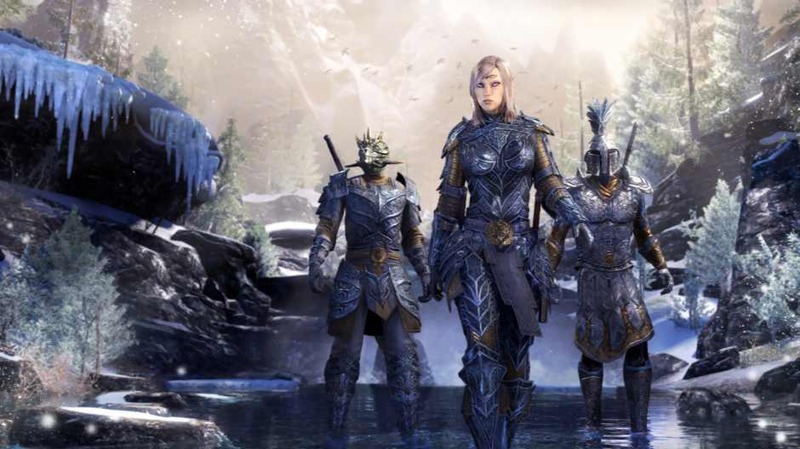 The Elder Scrolls Online 3.1.7 comes with fixes a variety of issues including the issue with the Emperor’s Regalia, high bounties, some changes to the Poison Injection ability, and more. The new patch has fixed an issue where Ra Gada Motif Chapters and Style Items would unintentionally be acquired from treasure chests in Bloodroot Forge or Falkreath Hold. The stun applied by Draining Shock can once again be blocked. ESO update 3.1.7 has fixed an issue where Ra Gada Motif Chapters and Style Items would unintentionally be acquired from treasure chests in Bloodroot Forge or Falkreath Hold. Poison Injection (Poison Arrow morph): This morph will now recalculate its damage over time each time it ticks. This fixes the issue where the execute damage was not updating as the target gained or lost health, but also means the tick value can increase or decrease if your stats change while it’s active. Fixed an issue where monsters killed by a beam attack would remain standing and not display their death animations upon reaching 0 health. ESO update 3.1.7 has fixed an issue where the enchantments on some older PvP sets were dealing significantly higher Oblivion and Flame Damage than intended. ESO update 3.1.7 has fixed an issue where Item Sets that summon monsters could critically strike. The hip armor from the Emperor’s Regalia will now appear as it did prior to the Update 15 patch. The Light Celestial Belt will no longer appear to float. ESO update 3.1.7 has fixed an issue that caused players to get premium daily rewards more than once per day from successful groups formed through the Grouping Tool. According to latest ESO patch notes, an issue that caused crimes against certain citizens to give you a higher bounty than intended after Update 15 was published is now fixed. The update size is around 133MB. Check your game update and download latest the ESO 3.1.7 update. Previously, the developers released update 3.1.6 with minor fixes.